Katy Cissé Wone is the Next Einstein Forum’s (NEF) Africa Director. In 2012, Katy was elected a member of the Senegalese Parliament, where she served as deputy speaker. Katy has 19 years of experience in the fields of political governance, public health and research. 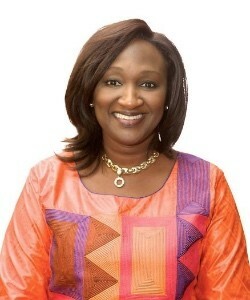 She has worked for more than 15 years in national public programmes supported by donors like WHO, UNDP, UNAIDS, UNIFEM, ILO, EU, World Bank and USAID and she also served as consultant for ECOWAS, CODESRIA and African Union. Katy holds a Master of Advanced Study in political science from the Center for African Studies, Institut Sciences Politiques de Bordeaux and a master’s degree in public law at Dakar University Cheikh Anta Diop.